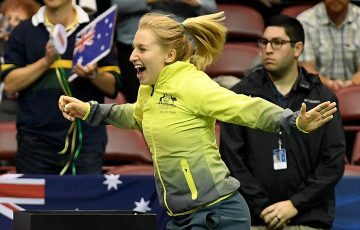 Sam Stosur's long-time coach believes the 28-year-old is ready to peak and is backing his powerhouse charge to add to her Grand Slam collection. 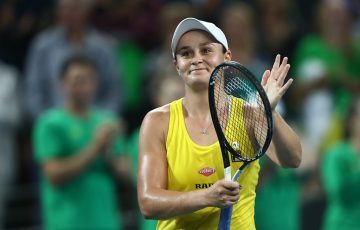 Sam Stosur’s long-time coach believes the 28-year-old is ready to peak and is backing his powerhouse charge to add to her Grand Slam collection. 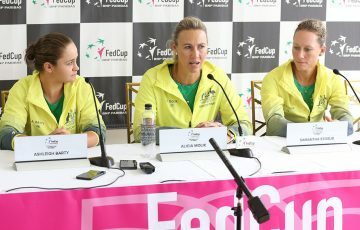 David Taylor has stepped down as Australia’s Fed Cup captain to devote his full attention to Stosur and says he’d be surprised if the 2011 US Open champion ended her career as a one-slam wonder. “She’s definitely worthy of more than one Grand Slam. Her ability is a second major, especially given she can be so dominant on clay,” Taylor told AAP on Monday. Taylor, who linked with Stosur five years ago following her comeback from career-threatening illness, said his decision to quit as Fed Cup captain after seven years in the role, was straightforward. “I had so much on my plate and I’ve got two young girls now and it’s pretty hard to do both,” he said. Now Taylor’s priority is helping Stosur maximise her full potential, which he believes equals more Grand Slam spoils and a return to the world’s top four – at least. “That is the goal now and it’s not something far fetched,” he said. “Anything you do that’s less than your highlight is less than your potential. “So that’s the new thing to deal with, really. The fact that she’s still in the top 10 is great, but she’s definitely a better player than nine in the world. Stosur turns 29 in March but with Serena Williams, at 31, still dominating and the likes of Li Na and Francesca Schiavone breaking through late in their careers, Taylor is convinced his charge is yet to peak. 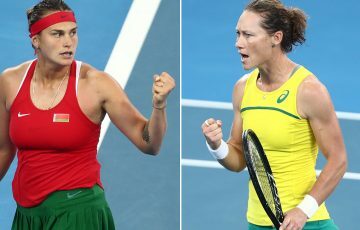 While all Australian tennis fans will be hoping Stosur can finally end the country’s 35-year major drought at Melbourne Park next month, Taylor suspects Paris remains her best chance of adding a second slam. 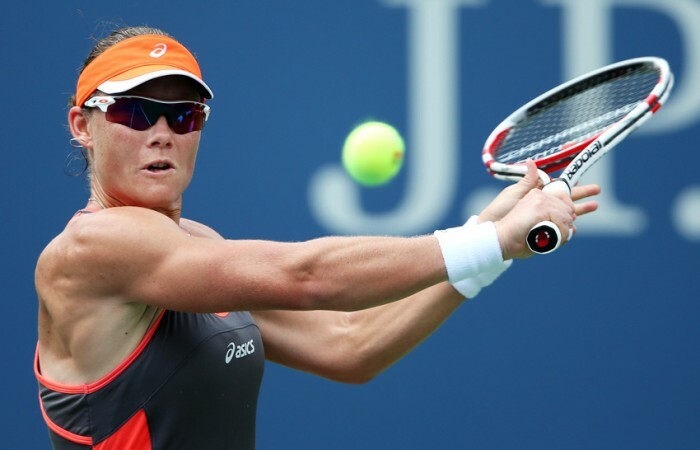 Apart from losing the 2010 final to Schiavone, Stosur also reached the Roland Garros semifinals in 2009 and 2012. “She’s probably got the best record at Roland Garros in the last four years, so that one really stands out as an opportunity and she really enjoys playing on that surface and the conditions are great,” said Taylor. 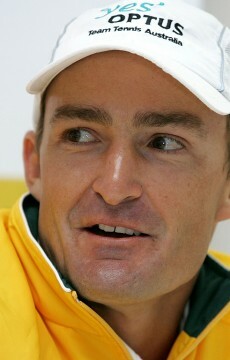 Taylor candidly described Stosur’s 2012 Australian summer – when she failed to win a match – as “pretty ordinary”, but he senses the Queenslander is better equipped to cope with the pressures and spotlight 12 months on. “I’m stating the obvious, but she seems a little bit more mature,” he said.